As mentioned in my earlier post about green tea, I have been drinking more tea in substitution for coffee. 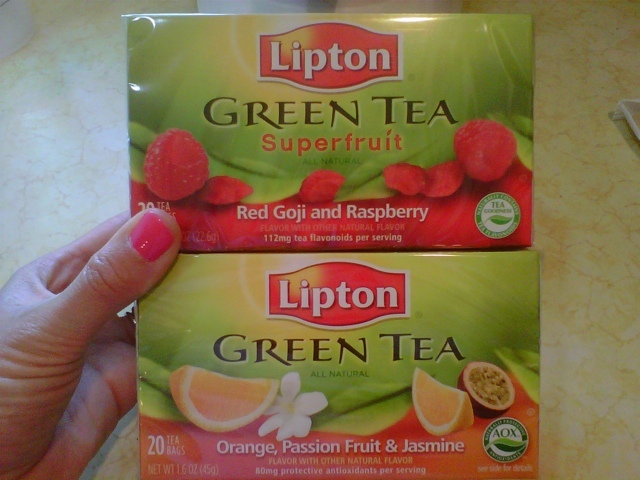 At my recent trip to the grocery store I found these two other flavors of the same line as the blueberry green tea. They are amazing! My favorite one so far is the orange, passion fruit and jasmine. Has a very subtle citrus taste to it. Pick up a box and give it a try!